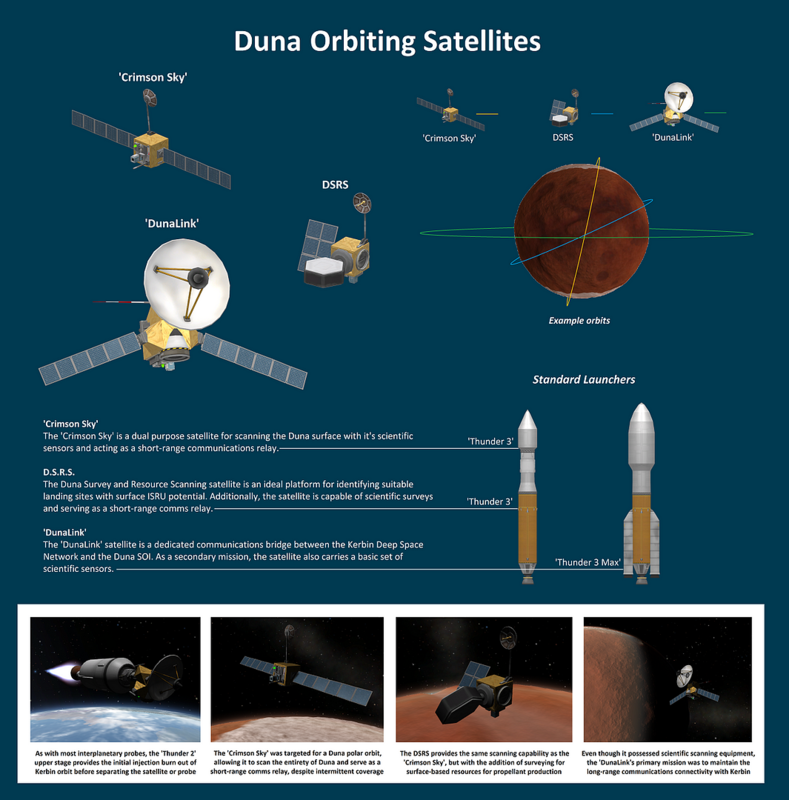 The ‘Crimson Sky’ is a dual purpose satellite for scanning the Duna surface with it’s scientific sensors and acting as a short-range communications relay. For more satellites and probes, check out the Satellites & Probes Market. Built in the VAB in KSP version 1.6.0.